Grandma and Me---Grandma and baby are enjoying each other for the day. This is an applique pattern using your favorite technique whether it is by hand or using fusible web and/or your sewing machine. I am assuming you have some skill to start with. inches wide. 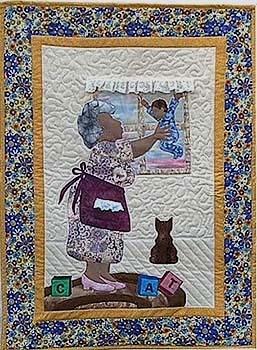 You may hand applique or use a fusible web for a quick project.